INDUSTRY-LEADING CHEFS AND RESTAURANT OPERATORS. Peter Peterson is President and Managing Partner of Cultivate Hospitality Group. In this role, he leads the strategy, origination, and execution of the firm’s consulting engagements and food & beverage investments. With over 25 years of experience working in F&B operations and real estate development, his unique background provides him with the skill set to understand F&B development from the perspective of both the operator and the developer. Prior to founding Cultivate, Peter was a Vice President at Related Urban, the mixed-use development division of The Related Companies. As the most prominent privately-owned real estate firm in the United States with a $30 billion portfolio of best-in-class real estate including mixed-use, residential, retail, and office, Related’s hallmark development formula focuses on the careful curation of distinctive food & beverage concepts to anchor their real estate developments. During his 12 years at Related, Peter was responsible for the master planning of the food & beverage programming for all of the company’s projects worldwide. He completed over 450,000 square feet of F&B developments, including signature restaurants, casual eateries, food markets, and event spaces. He was responsible for all the facets of the development process, including the negotiation of leases, joint venture agreements, management agreements, and licensing agreements; concept development; construction management; design oversight; and marketing/opening strategies. Peter’s responsibilities at Related also included the asset management of Related’s F&B ownership interests, including Thomas Keller’s 3-Michelin star rated Per Se. 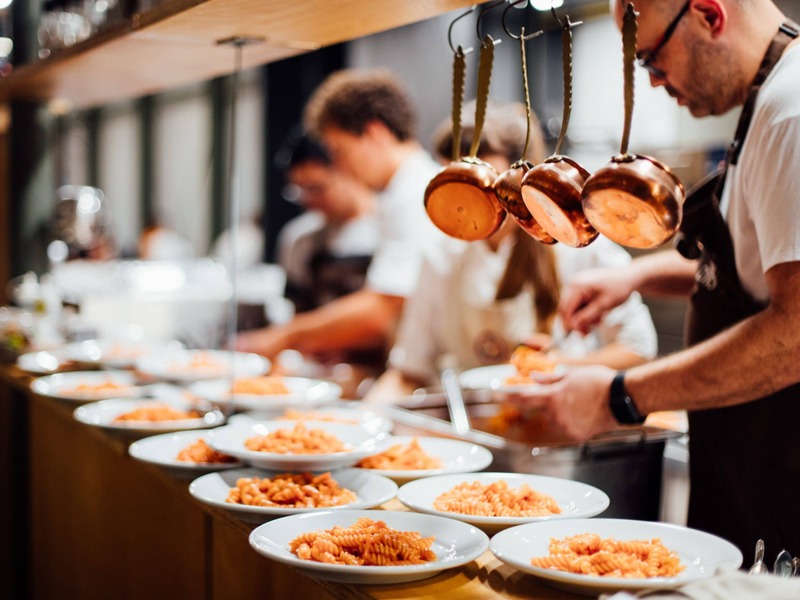 In this role, he interfaced with each restaurant’s management team ensuring the ongoing financial viability and performance of each restaurant. Peter started his career with over a decade in operations at the Ritz Carlton Hotel Company and the Himmel Hospitality Group. He received a Master’s in real estate development from Columbia University and a Bachelor of Science from Cornell University’s School of Hotel Administration with a concentration in food & beverage management. CEO and Managing Partner of the Silverstone Companies, a private hospitality investment platform focused on the hotel, restaurant and lifestyle sectors. Silverstone invests on behalf of a collection of family offices seeking minority investments in dynamic brands and operators. He is also the Co-Founder and Principal of Cultivate Hospitality, a full-service food & beverage management and consulting firm that connects real estate developers with industry-leading chefs and operators. Sam also helped launch a media & entertainment direct investment platform for the Fertitta brothers (UFC, Red Rock Resorts). Previously, Sam served as President, Chief Executive Officer and Board Member of sbe Entertainment, a Colony Capital sponsored company, where he was responsible for the Company’s global strategic growth and all operations across the Hotel, Restaurant and Entertainment Divisions, which employed over 6,000 team members and had a global pipeline of over 4,000 hotel and residential keys across 10 hotel properties and 70 restaurant and entertainment venues. Sam was recruited to sbe with an extensive track record as a 15-year veteran of Wall Street, spending over 12 years with J.P. Morgan Securities as the Head of Real Estate & Lodging Investment Banking practice on the West Coast and the Gaming Investment Banking practice globally focused on mergers & acquisitions and capital raising. Sam began his career as a Financial Analyst with Deutsche Bank (formerly Alex. Brown & Sons) based out of New York and Baltimore. Sam holds a Bachelor of Science degree in Business Administration from Georgetown University’s McDonough School of Business. He currently serves on the board of The New Home Company (NASDAQ: NWHM), and is a trustee of Georgetown University’s McDonough School of Business, and Carlthorp School. He is a founding member of the Georgetown Wall Street Alliance West, and an active member of the Bel Air Chapter of the Young Presidents Organization. Vice President at Cultivate Hospitality Group. In this role, he is responsible for sourcing, structuring, and executing the firm’s consulting engagements and food & beverage investments. 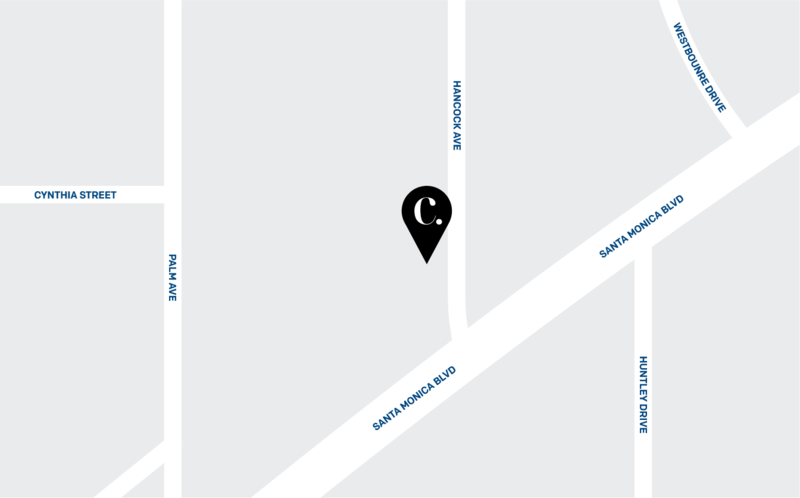 Prior to joining Cultivate, Charlie was an investment associate at KHP Capital Partners, a real estate private equity firm specializing in boutique hotel and restaurant developments. His experience includes negotiating and underwriting hospitality investments, structuring management/license agreements, and overseeing development projects. Before that, he held various investment, development, and finance positions for Kimpton Hotels & Restaurants, Kilroy Realty Corporation, and Ernst & Young. Charlie started his career in hospitality as a server at Eleven Madison Park restaurant. Charlie received a Bachelor of Science from the School of Hotel Administration at Cornell University with a minor in real estate finance. Jessica Wasser is a Project Coordinator at Cultivate Hospitality Group. In this role, she is responsible for working with our third party creative agencies, preparing marketing collateral, project accounting, organizing meetings and day-to-day office administration. Prior to joining Cultivate, Jessica was a Project Coordinator at Haute Chefs Los Angeles, a boutique private chef services company specializing in hospitality. Her experience includes accounting, client relationships and human resources. Jessica received a Bachelor of Science in Consumer Economics and Finance from the University of Illinois at Urbana-Champaign and was enrolled in the James Scholar Honors Program. She spent a semester abroad in Rome, Italy where she completed the Food Systems and Sustainability Program at Gustolab International Institute. 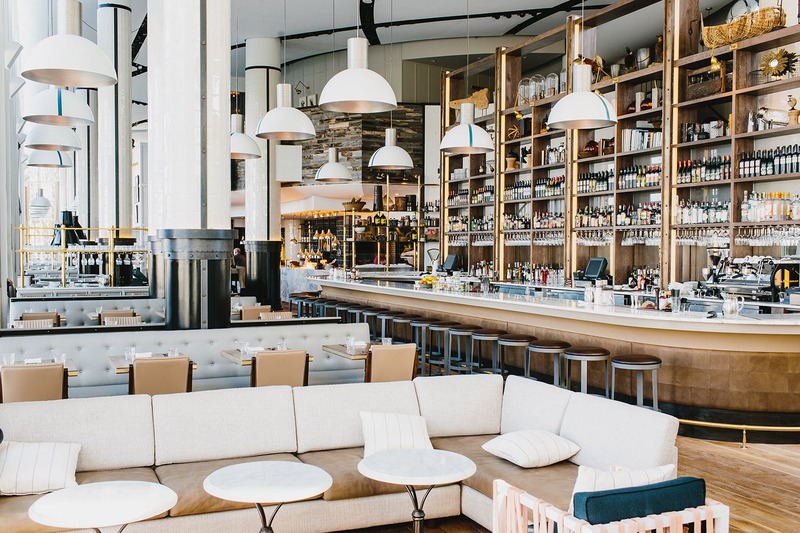 Our core competency is drawing on our years of experience in both food & beverage operations and real estate development to provide design teams with the guidance required to create active public spaces anchored by food & beverage. We have engaged in creative placemaking with some of the best development teams to bring real estate projects to life. 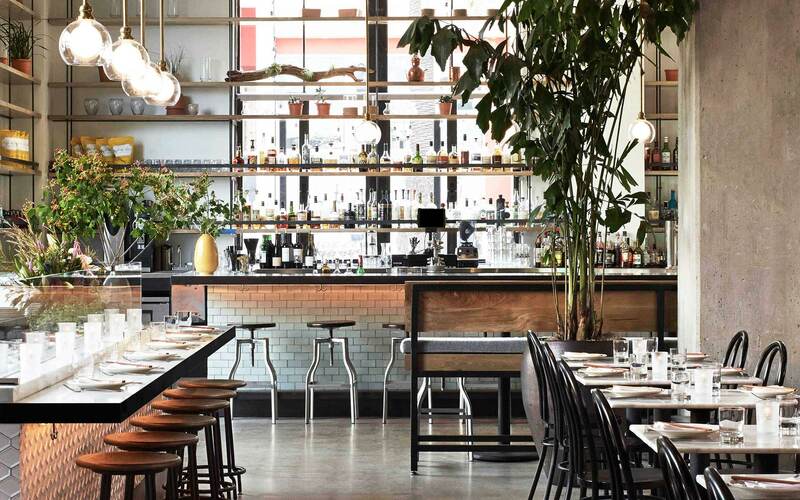 Our experience in the world of institutional real estate ownership and food & beverage asset management gives us a unique perspective in the underwriting of new restaurant opportunities. We conduct a thorough survey of the existing F&B landscape, finding support for various detailed operating metrics including cover counts, turns, average checks, food costs, labor costs, rents, tenant improvement allowances, and other figures to analyze the viability of each new operation. 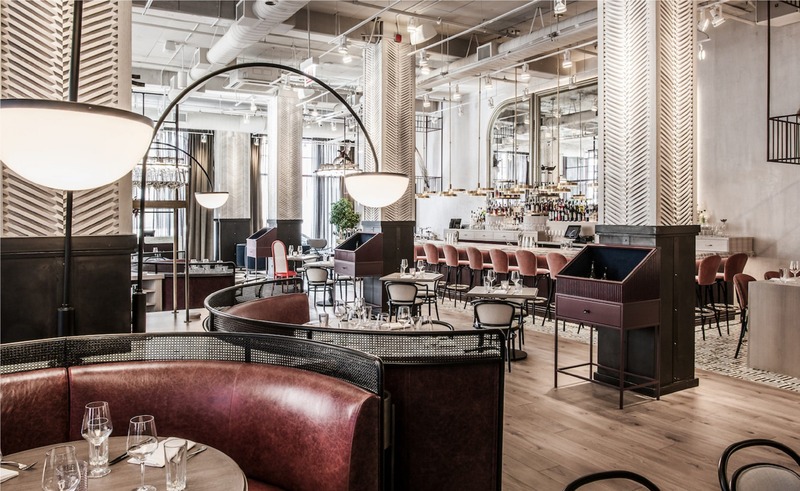 Whether it’s a single signature restaurant space or a collection of spaces in a major mixed use development, we find the right concepts and operating teams that fit your project. Our deep involvement in the food & beverage operator community gives us the insight and ability to court the best operators in the market and structure creative operating agreements. Occasionally, a unique restaurant space will require a custom crafted concept. We oversee the concepting process and select the right design teams and operating teams to execute on ownership’s vision for the project. Cultivate offers a full spectrum of other food & beverage services which can be catered to each owner’s unique needs. San Francisco Flower Mart is the largest development project in SF since the development of Embarcadero Center. Located in Central SoMa, the development plan calls for the preservation of the existing 115,000 square feet wholesale flower market space while also adding over 2 million square feet of office space, 130,000 square feet of food & beverage-focused retail, and 40,000 square feet of public open space. Cultivate has been engaged by Related to provide operator search services and guidance in master planning the food and beverage programming for the Frank Gehry-designed Grand Ave project. Located across the street from the Walt Disney Concert Hall, the project will bring a 314 room Equinox Hotel, 436 residences, and 172,000 SF of retail which include eight restaurants and a 430 seat cinema to the Bunker Hill neighborhood of Downtown Los Angeles in 2021. Cultivate has been engaged by Woodridge Capital to put the food & beverage collection together at the $2.5 billion Century Plaza project located in Century City across from the Westfield Century City. & Partners, which echo the Minoru Yaamsaki-designed Century Plaza Towers across the street. Once complete, the project will include 363 luxury residences, a 400-room Fairmont hotel, and 93,000 SF of retail space. The project is anticipated to open in 2020. SOMA Hotel LLC is developing the 250-room Marriot Mission Bay just steps from AT&T Park and the Chase Center, the new home of the Golden State Warriors. It will be the first hotel to open in San Francisco’s burgeoning Mission Bay neighborhood, which include UCSF’s Mission Bay Campus, Dropbox, Uber, Gap, and over 6,000 new residences. Hudson Yards is the largest private real estate development project in the history of the United States as well as the largest development project in New York City since the development of the Rockefeller Center. A “city within a city,” Hudson Yards will include more than 17 million square feet of commercial and residential space, with a development program including five office towers, more than 100 retail outlets, 20 restaurants, approximately 5,000 residences, an Equinox hotel, a 750-seat public school, a cultural space, and over 14 acres of public open space. Hudson Yards is anticipated to draw over 24 million visitors every year. The food & beverage program at Hudson Yards is to include approximately a dozen signature restaurant spaces as well as a 40,000 square foot market hall. Following the foreclosure of the stalled Cosmopolitan Resort and Casino development in Las Vegas in 2008, the lender of the property was faced with the decision of forcing a sale of the property or finishing the project’s development. The Related Companies was hired by the lender as a fee developer to complete the project. One of the new ownership group’s primary goals was to redefine the standard of food & beverage in Las Vegas. The opening restaurant collection, which would ultimately come to be the paragon of destination dining on the Las Vegas Strip, included world class concepts such as Jaleo by Jose Andres, STK, Estiatorio Milos by Costas Spiliadis, Comme Ca by David Myers, Blue Ribbon Grill, and Scarpetta by Scott Conant. 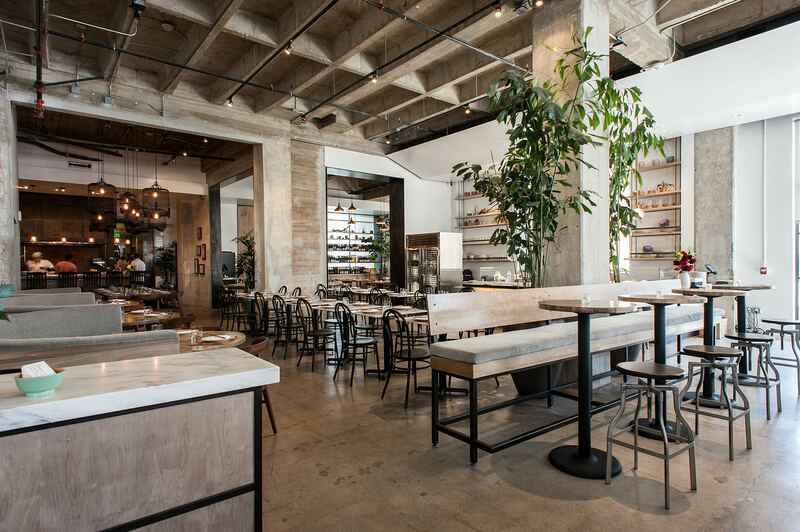 Peter was tasked with finding an LA-based celebrity chef to craft a signature restaurant concept for the building. After an exhaustive search, Peter identified David Myers, and ultimately created Hinoki & the Bird. The result was an award-winning concept that became a hit with both residents and locals. The Galleria on Al Maryah Island is the ultimate fashion, luxury retail and dining destination in the Middle East. The Galleria combines the latest trends in fashion and dining in a modern, vibrant and striking waterfront environment. of luxury retailers in one location in the region. It is home to 130 outlets, anchored by some of the most iconic names in fashion including Louis Vuitton, Dior, Cartier, Prada, Gucci, Van Cleef & Arpels, Mulberry and Bulgari. The Food & Beverage offerings for The Galleria, include two contemporary café terraces and multiple waterfront dining options overlooking the Abu Dhabi skyline. From fast casual eateries to fine dining restaurants headed by signature chefs, The Galleria offers a diverse culinary experience through its 25 venues including Zuma, La Petite Maison, Café Milano, Coya, Almaz by Momo, and Emporio Armani Caffè. 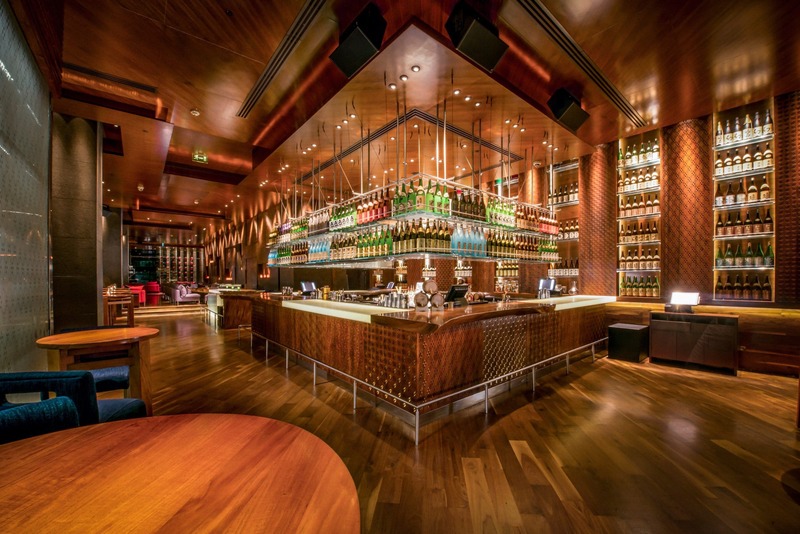 After a redesign and renovation of the space, the rebranded Porter House Bar and Grill had an immediate increase in both cover counts and check average, resulting in a 20% increase to revenues and bottom line. 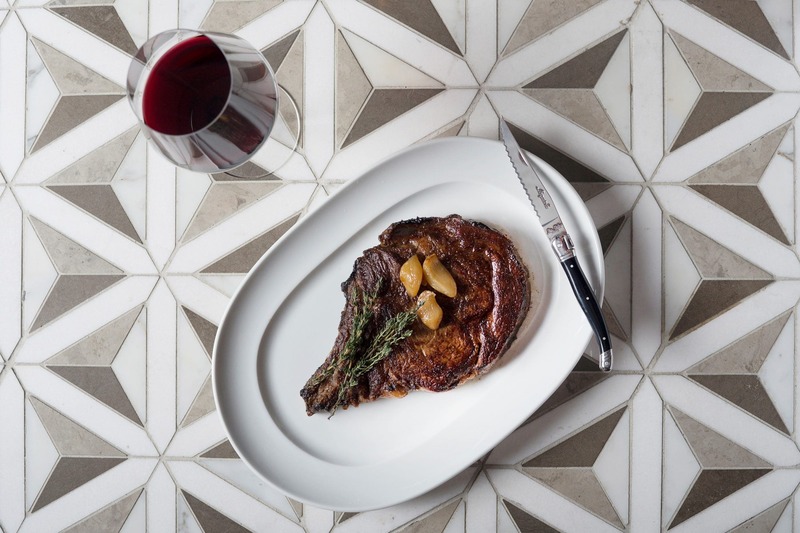 In Feb. 2017, New York Magazine bestowed on the new Porter House with the designation as “The Absolute Best Steakhouse in New York City”.